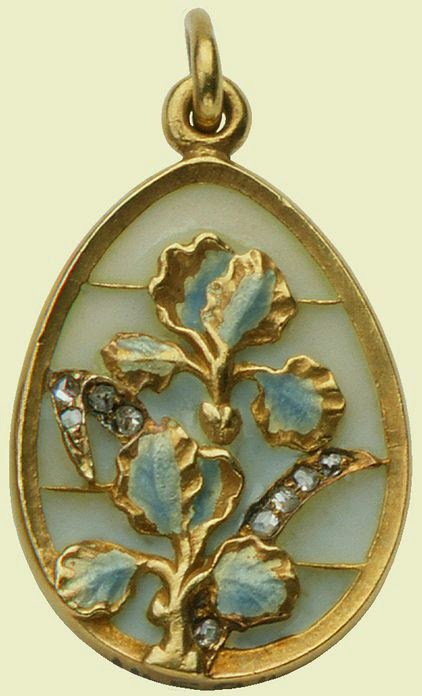 The pendant is made in Art Nouveau style, and is decorated with irises in gold, plique-à-jour enamel, and rose-cut diamonds. It's measurements are 1'' x 0.6'' x 0.1 '' (2.6 x 1.5 x 0.3 cm). Queen Alexandra was the acquirer of the pendant, and it can now be found in the Royal Collection.